The association of mentoring with the profession of arms dates to the origin of the term itself. In Greek mythology, Mentor was the tutor and protector of Telemachus, the son of Odysseus; when Odysseus departed for the Trojan War, he left Telemachus in Mentor’s care. The connection is drawn out further by the fact that Athena, the goddess of wisdom and war, often assumed Mentor’s form to impart specific insights or guidance to Telemachus. The Army’s current leader development doctrine gives guidance on mentoring that is both clear in its definition and broad in its scope. Army Doctrine Reference Publication (ADRP) 6-22 Army Leadership defines mentoring as “the voluntary developmental relationship that exists between a person of greater experience [the mentor] and a person of lesser experience [the protégé] that is characterized by mutual trust and respect.” The key points of emphasis for this relationship are the concepts of “voluntary” and “mutual.” Mentoring is not an additional duty assigned to a soldier but instead a connection between two professionals that builds the capacity of both. The ADRP uses this fact to differentiate mentoring from counseling (developmental interactions within the context of an established chain of command) and coaching (the assignment of a trainer to an individual with the express purpose of developing a particular skill). The ADRP’s definition of mentoring also emphasizes that the defining difference between mentor and protégé is a gap in experience, not age or rank. Again, this sets mentoring apart from counseling, which is a function of position in the chain of command. When we blur the lines between counseling, coaching and mentoring, we lose sight of the distinct role that all three play in the development of our soldiers. - A reserve component mentoring program calls for each subordinate command to nominate participants for a Mentoring for Success Course for Noncommissioned Officers. The requirement specifies that all nominees must hold the rank of sergeant first class or above. - A U.S. Army Training and Doctrine Command schoolhouse leader’s handbook defines mentoring as an administrative responsibility for senior instructors, urging that all instructors receive mentoring from their direct supervisors. The same document notes that all instructors are expected to mentor their students, providing quality feedback and encouragement when needed. - An active duty brigade deployment after-action report discusses at length how mentoring Afghan partners was a crucial element of the brigade’s mission. The mentoring emphasis is repeated throughout the document in multiple contexts ranging from staff engagement to security force assistance. - A commissioning source effort that pairs cadets who have fallen short of Army standards with assigned officers or NCOs designated as mentors is underway. The program’s description makes clear that the cadet’s participation in the program is his or her only alternative to separation from the commissioning source. - The 2013 Center for Army Leadership Annual Survey of Army Leaders found that officers who held supervisory positions were almost twice as likely to identify themselves as mentors than those not holding such positions. This gap held consistent for officers of all ranks, even as total mentor percentages dropped precipitously as the rank of the officer decreased. None of the previous examples are evidence of malice toward or neglect of leader development responsibilities, but all of them suggest a misapplication of one or more of the key definitions of mentoring. Many of them use the term mentoring to describe what would be more properly understood as counseling or simply leadership responsibilities inherent to a specific position or mission. Others ignore the requirement for the initiation and scope of mentoring to be a mutual decision, leaving it to the senior member to decide how and when the developmental relationship is to be run. Almost all of them ignore the defining difference between protégé and mentor as a difference in experience, choosing to substitute rank or age as a mechanism for selecting mentors. The survey finding is particularly troubling; it beggars belief that soldiers in supervisory positions are somehow more driven to seek out mentoring relationships on top of the already significant leader development responsibilities inherent in their positions. It is far more likely that leaders in these positions are mischaracterizing their efforts as mentoring instead of counseling or coaching. – Is the decision to initiate this relationship at this time a voluntary one? – Is the selection of the members of the relationship driven solely by the preferences of the soldiers in the relationship? – Is the key defining difference between the soldiers in the relationship a difference in experience? If the answer to any of those questions is “no,” you’re not mentoring. For relationships or actions done within the context of a chain of command, leading or counseling is almost always a better term. 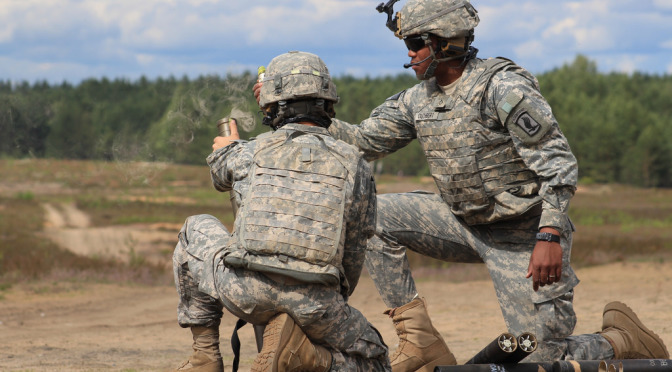 For efforts outside a chain of command, consider using the terms coaching or learning coach to describe a more senior individual assigned to facilitate learning among one or more soldiers. When the assigned individual is closer in age or rank to the learners, the term learning partner or peer observer may be more appropriate. Precision in use of doctrinal terms has never been a hallmark of the American Army, but close differentiation of mentoring, coaching and counseling is important to our soldiers’ growth and development. Leaders use different tools for each kind of developmental relationship, so understanding the right framing of the problem is the first step towards fixing it. After all, the next Fox Conner may be in our ranks right now. Lt. Col. Raymond A. Kimball is an Army strategist currently writing a doctoral dissertation on Army mentoring.